Makes anyone he possesses extremely prideful. Pridon's soul-When reviving an ally, it reduces the reviving time by a bit. 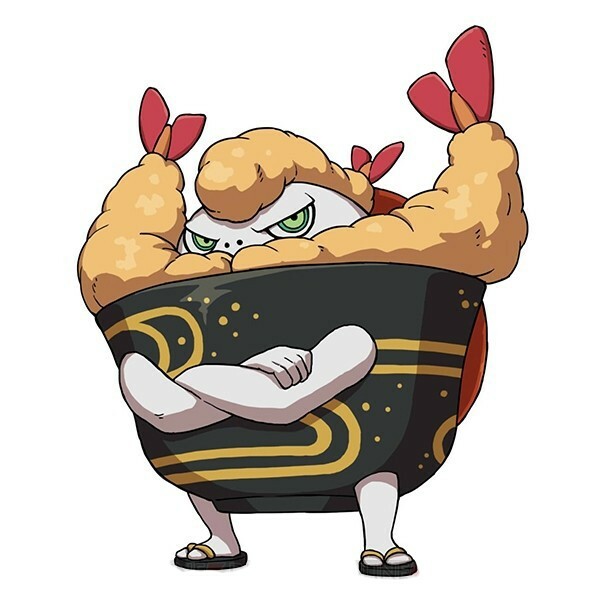 Yo-kai Medallium Bio: An expensive Tempura rice bowl yo-kai that has a high pride. If you are inspirited by him, be careful, because you'll get everyone's antipathy by having a very high pride. Pride Shrimp appears as a lacquered rice bowl with limbs from which his white, round head emerges, surrounded by two ebiten (shrimp tempura) on his shoulders, one laid on his head and another hanging off his back. He stands arms crossed with a confident look in his eyes. "Pride Shrimp" is a wordplay on pride and fried shrimp.